Don’t miss this rare opportunity to hear from and meet with the CEO of one of South Africa’s leading platinum producers, who will provide a fascinating insight into the South African mining industry. Mr. Phiri will be interviewed by Mr. Robert Rorrison, Chairman of Resources Asia, Macquarie Capital. With the event expected to sell-out, be sure to register early to secure your seat. Robert Rorrison, Chairman of Resources Asia at Macquarie Capital will be moderating the event. Steve was appointed CEO of RBPlat in April 2010. Prior to this appointment he was the CEO of Merafe Resources, a public company listed on the JSE in which Royal Bafokeng Holdings has a 29.4% interest, for a period of six years. He has served as a non-executive director on the Board of Impala Platinum Limited and brings to RBPlat a significant wealth of mining and business experience, gained over a period of 14 years. 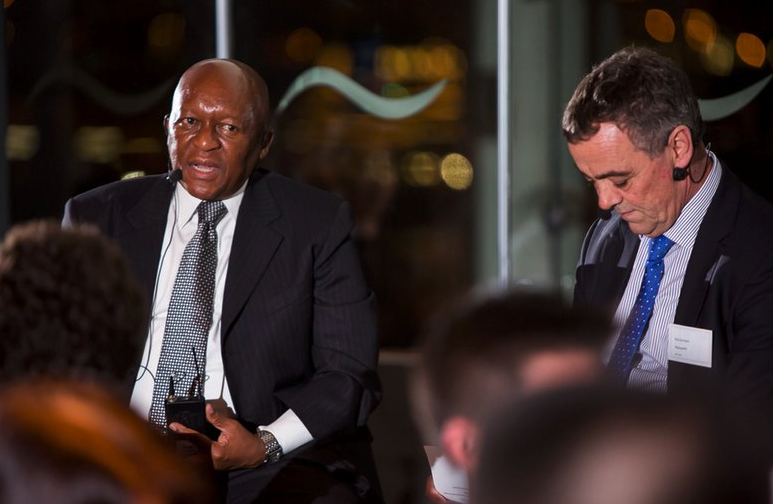 He has also served as a non-executive director on the board of Zurich Insurance Company SA. He is an admitted attorney of the High Court of South Africa and South African Diamond and Precious Metals Regulator. Robert Rorrison is joined Macquarie Capital in 1999 and has more than twenty five years’ experience in Corporate Advisory and Equity Capital Markets. Prior to his current role as Chairman of Macquarie Capital’s Asian Resources business, Rob was an Executive Director and senior member of Macquarie Capital’s Australian Resources Group with responsibility for client transactions and Principal Investments.